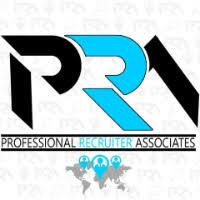 Responsible for sales activities, from lead generation through close of sales within assigned territory of NY and NJ. Works within the sales and support team for customer satisfaction, revenue generation in line with company vision and values. Responsible for the sales and marketing of highly valued solutions for potable water quality management through asset management/maintenance programs. Demonstrates technical selling skills and product knowledge. Develops annual sales business plan in conjunction with sales manager to meet or exceed sales quota. Maximizes all opportunities in the process of closing a sale to maximize market share. Sells consultatively and makes recommendations to prospective clients of the various solutions the company offers to solve their business issues. Creates and conducts effective proposal presentations and RFP responses appropriately addressing client needs. Responsible for building an effective reputation with the industry. Demonstrates the ability to gather, submit detailed business information, pricing and presentation of solutions to clients. Maintains accurate records of all sales prospecting activities including calls, presentations, closed sales and follow up activities through the use of Oracle software.